This Rock climbing party invitation features a young child climbing up a Wall with hand and foot holds. 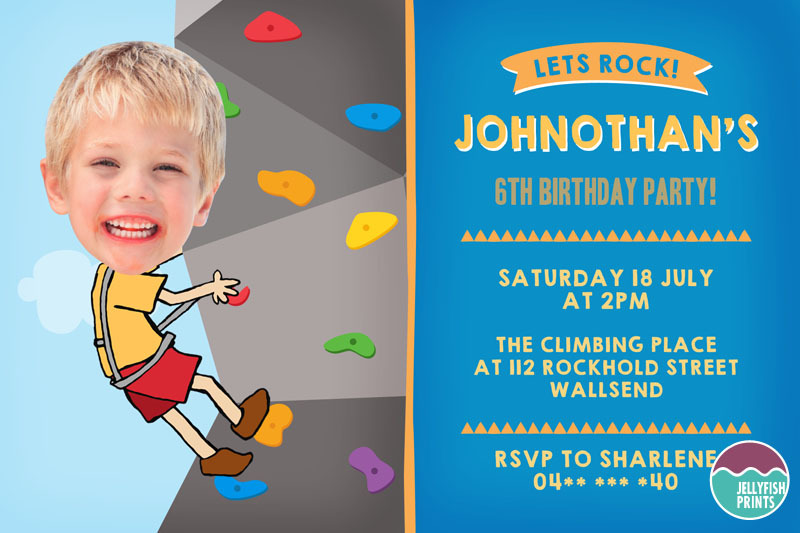 Perfect invitation that we can incorporate your child’s head to transform them into a cute rock climber. The party details are displayed on the right hand side of the invitation. There is ample space for you to insert your party venue location, time and date. A Rock Climbing party invitation. If you are hosting your party at an indoor or outdoor rock climbing venue then this is the perfect party invitation for you.